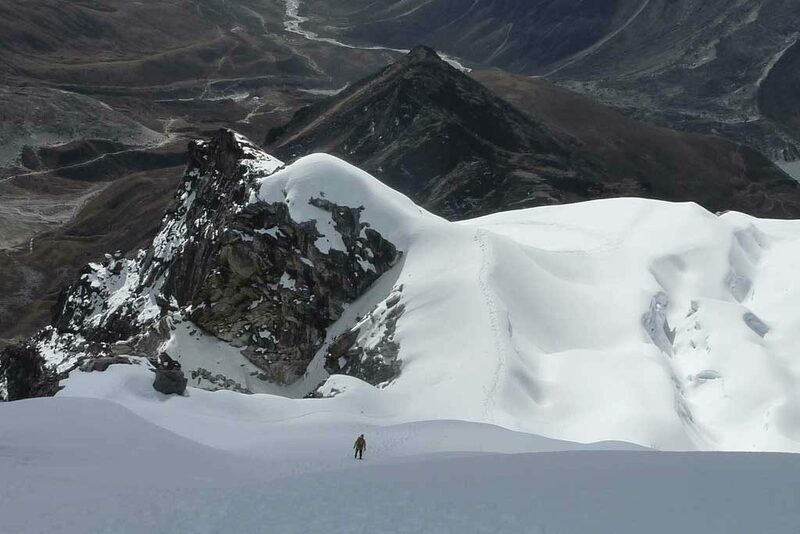 Chola Pass (5,330m/17,487ft) is one of the most adventurous and hard treks in the Everest region of Nepal. 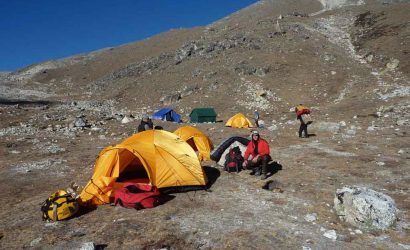 Our Chola Pass and Lobuje East Climb trip is for passionate trekkers who are looking for more challenging expedition. So, we have combined this trek with Lobuje Peak expedition. 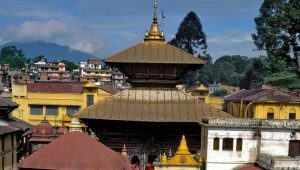 Lobuje East expedition offers to witness the pristine Sherpa villages, their lively culture and serene monasteries on the world famous Everest Base Camp trail. The trip starts from and comes to conclusion at Lukla airstrip following a short and exciting flight from Kathmandu. 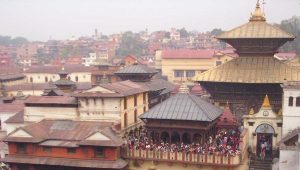 Then the trek goes through Namche Bazaar and all the way to Gokyo Valley, Chola Pass, Kalapatthar and Mt. Everest Base Camp. Hence we are ready for Lobuje Peak expedition. 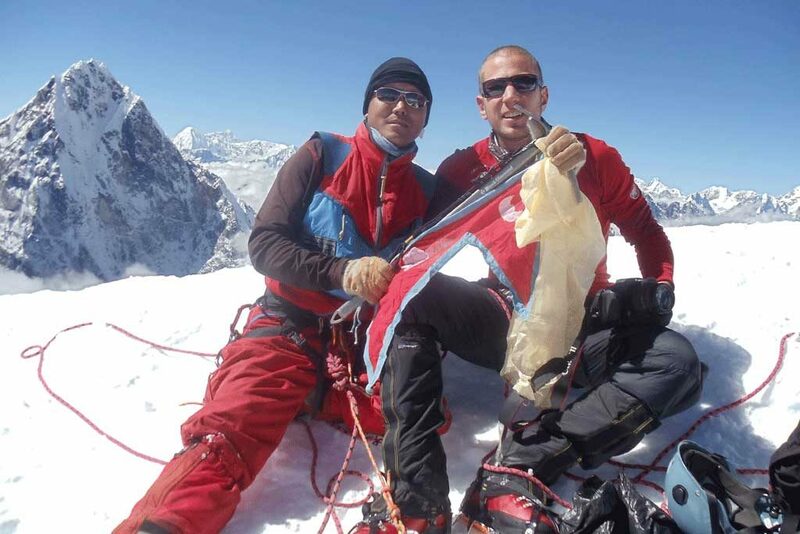 Lobuje Peak (6,119m/20,076ft), also spelt as Lobuche is situated in the popular Everest region of Nepal. 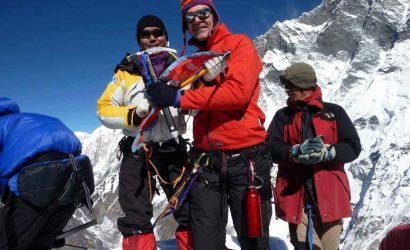 Lobuche Peak climbing is physically very demanding and technically straightforward on the snow slopes. Lobuche Peak has two distinct summits- Lobuche East (6,119m/20,076ft) and Lobuche West (6,145m/20,161ft). Although both the peaks are connected by a continuous ridge, there is a prominent gap and a visible distance between them. The true east peak can be summitted by descending into a notch and climbing steep snow/ice slopes to the top. This peak is exceptionally climbed and repeatedly mistaken as Lobuje West. 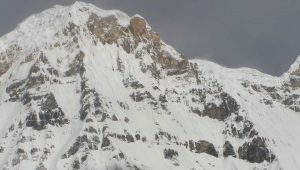 Most of the climbers reach the summit ridge only as far as a subsidiary snow summit just before the notch and south-east of the true peak. Trek Namche Bazaar to Dole (4,200m/13,780ft). Trek Dole to Machhermo (4,470m/14,666ft). Trek Machhermo to Gokyo (4,790m/15,716ft). 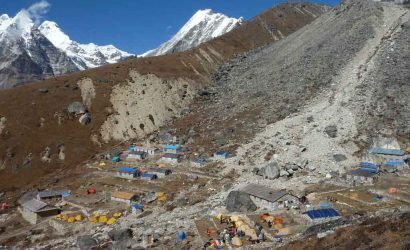 Trek/Climb Gorakshep to Kalapattar (5,545m/18,192ft) and return trek to Lobuche. 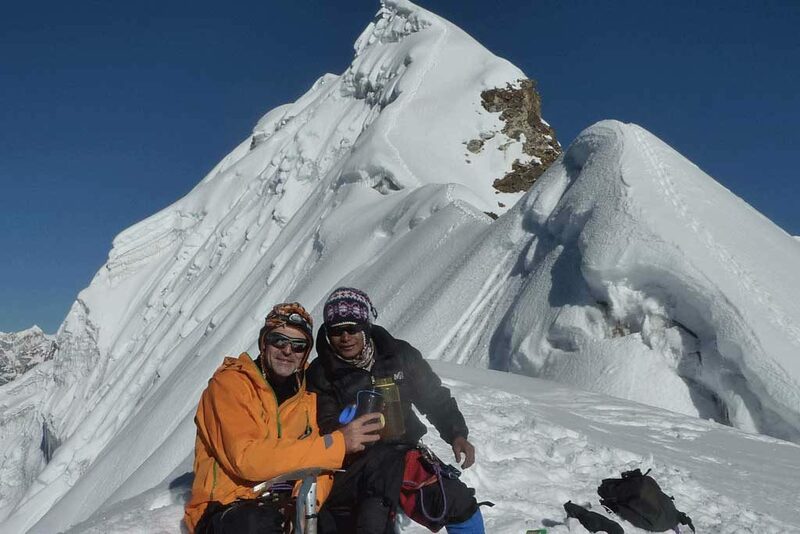 Trek Lobuche to Lobuje Peak Base Camp (5,400m/17,717ft). Basic training for climbing. 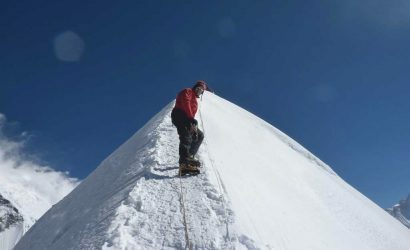 Climb Lobuje Base Camp to High Camp (5,800m/19,029ft). 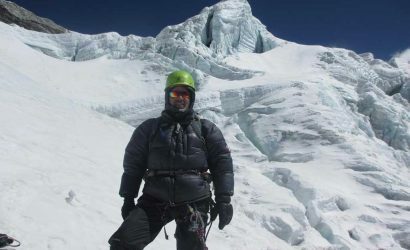 Climb Lobuje Peak High Camp to Summit (6,119m/20,076ft), trek back to Lobuche. 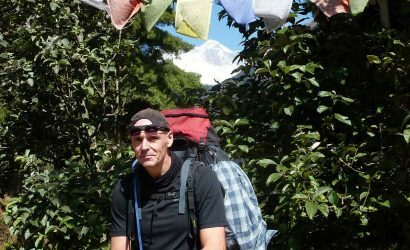 Trek Lobuche to Pangboche (3,930m/12,894ft).